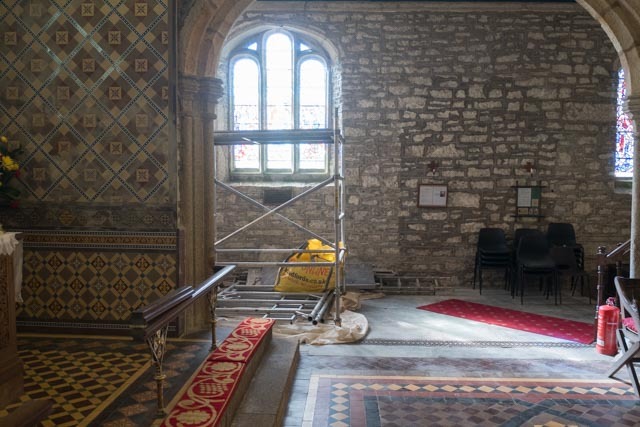 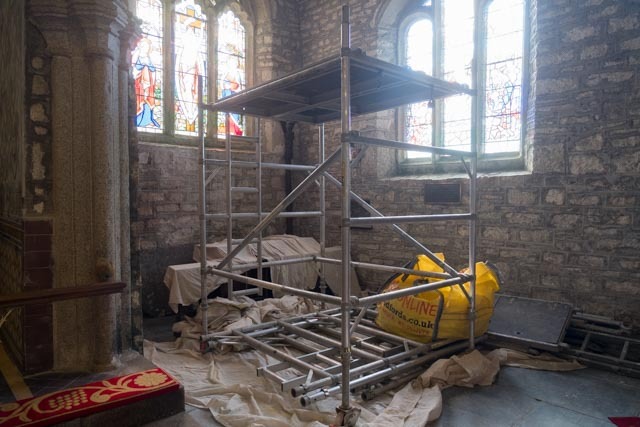 Work has started to repair the ceiling at St Mary’s Walkhampton. 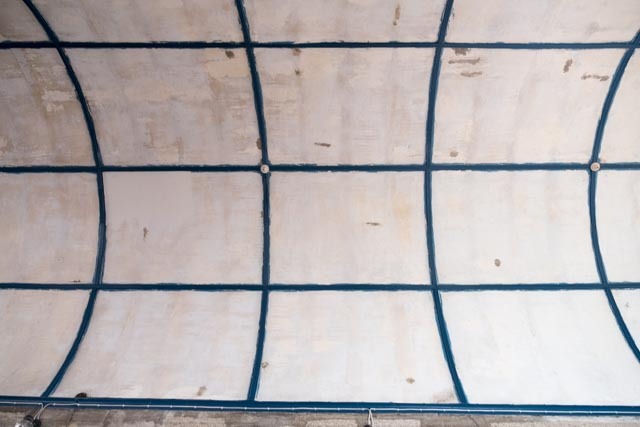 The workmen found a pencil scribble on the ceiling indicating that the last repairs were carried out in the 1960’s. 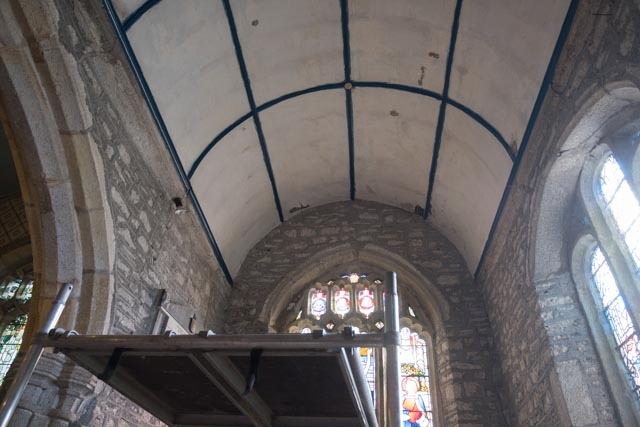 The lining paper, which we assume was put up then, has been removed and the ceiling is to be painted with a lime based breathable paint over the course of the next few weeks.